The main function is render, but there are many other useful functions. If you read the script, the first part contains just functions to operate with matrices 4x4 and 3x1. The second part of the script contains the more interesting functions. 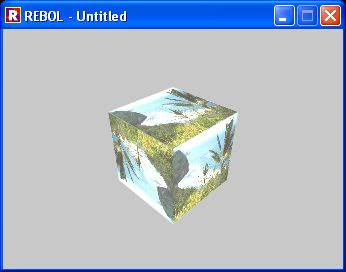 It can also load OFF (object file format) of 3D objects. 3D is a complicated matter and to really understand deeply how all it works, you should study geometry and linear algebra. However I'll explain just how to use and basic principles of this library. You put your camera int the the 3D word, giving position of the camera and the point you are looking. This is a very important concept, it is not enough to give camera position. Moreover if you move your camera, it will continue to look at the given point. This is different from human habit, if you walk on the street, you continue to look at 3 meters in front of you. Vice versa the camera, if you don't update also the point you are looking at, it will walk on the street starting looking at the traffic light in front of it; when it'll surpass the traffic light, it will turn back continuing to look at the traffic light, even it can't see the traffic light anymore. So remember to update also the point where the camera is looking when you move it. You must give the UP direction. Did you ever notice what happen rotating a camera during recording? Yes, the same way; you must give where is up and down, probably sometime Z axis is not a convenient UP. 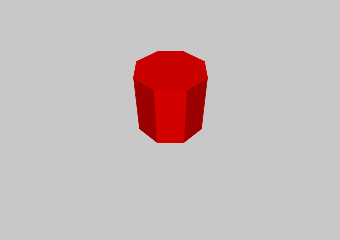 This way we create a red cube stretched on the Z axis four times that in the other direction (a tower). R3D contains "ready to use" models, in the next chapter will see how to create our model, now we will use cube2-model. This is a very important concept: what will you show of your world? We must supply as camera a 4x4 camera projection matrix, the quickest way is to use the r3d-position-object function. Modifying the UP position, you'll obtain cool rotation. Now we must decide our window size (for example 300x200) and decide the perspective projection matrix. Don't be scared of these terms, if you don't need some distortion, just use the r3d-perspective giving it a number greater than zero (for example 250 is a good number here). No more than 7 lines. You can play and examine the advanced-r3d.r script to learn how to play with R3D parameters. Attention: faces have only one side: the front; the order of the vertexes determines the front or the back of the face. You can load models with the r3d-Load-OFF function. 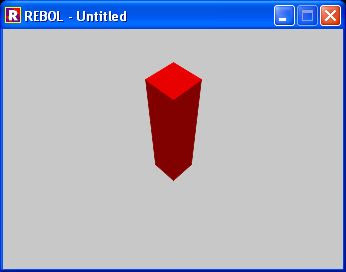 Object File Format (.off) files are used to represent the geometry of a model by specifying the polygons of the model's surface. The polygons can have any number of vertices. 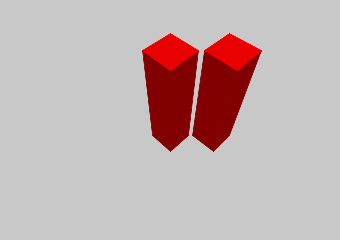 The .off files in the Princeton Shape Benchmark conform to the following standard. OFF files are all ASCII files beginning with the keyword OFF. The next line states the number of vertices, the number of faces, and the number of edges. The number of edges can be safely ignored. The vertices are listed with x, y, z coordinates, written one per line. After the list of vertices, the faces are listed, with one face per line. For each face, the number of vertices is specified, followed by indices into the list of vertices. See the examples below. Note that earlier versions of the model files had faces with -1 indices into the vertex list. That was due to an error in the conversion program and should be corrected now. Note that vertices are numbered starting at 0 (not starting at 1), and that numEdges will always be zero. A lot of models on internet haven't a good face orientation, if you have some trouble to see them, there is the /no-cull refinement that you can use. Using it you'll see front and back of a face. Try it. r3d-CalculateFaceNormals Calculate face normals to apply light effects??? r3d-Render2dTriangles-Simple Decide which face to show and the light of the face??? wall-model A wall on the X plane, good for images ,remember faces have just one side. 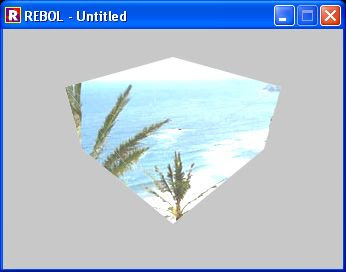 prysm-8-model A octagonal prism, it shows how to use polygons for faces. Thank to Andrew Hoadley to developed a such beautiful library.